Have I mentioned how ridiculously excited I am about Christmas this year? A small child’s excitement is infectious and I’m falling for the magic and wonder of Christmas all over again. There are so many things that we’re able to do with Jenson during the build up that he hasn’t been interested in before. Now he knows about Father Christmas, he’s been very clear on what he’d like to find under the tree on Christmas morning. So, of course, it’s of the upmost importance that we make sure the old guy knows exactly what he’s wishing for. 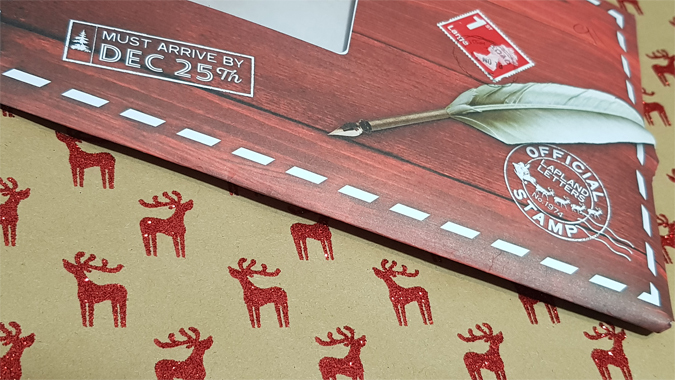 Enter Lapland Letters*. 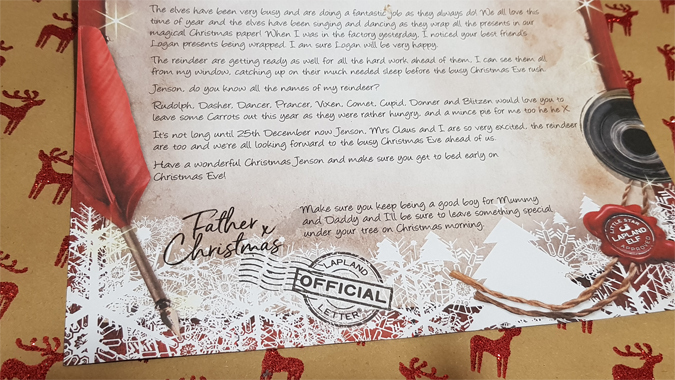 Lapland Letters is a fantastic service which allows you to customise a template for Father Christmas to send your child a personalised letter. But that’s not all. 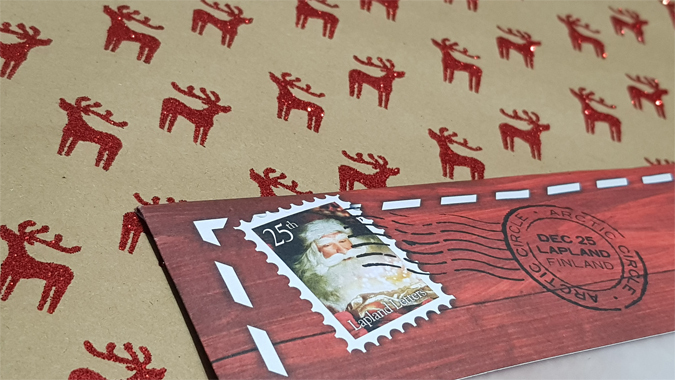 There are loads of cute little extras to make getting post even more special for your little one. 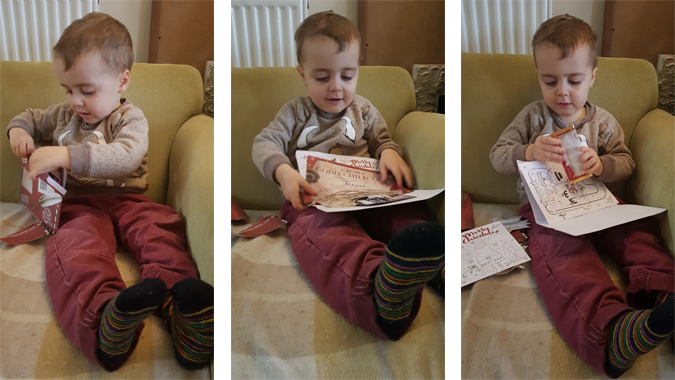 Jenson was so excited to get post addressed to him and tore straight into his envelope. 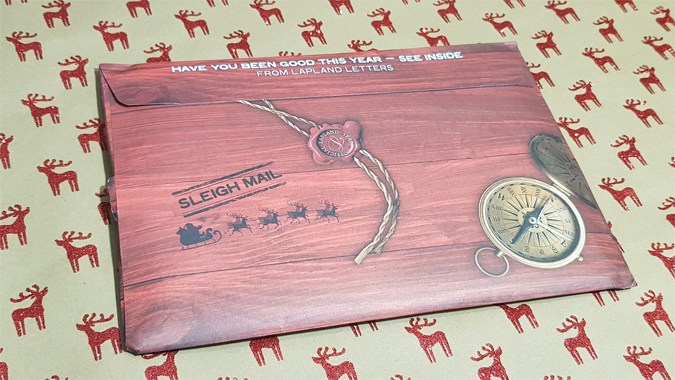 I explained that it came from Father Christmas, which was apparently permission for him to get started on the chocolate bar straight away! 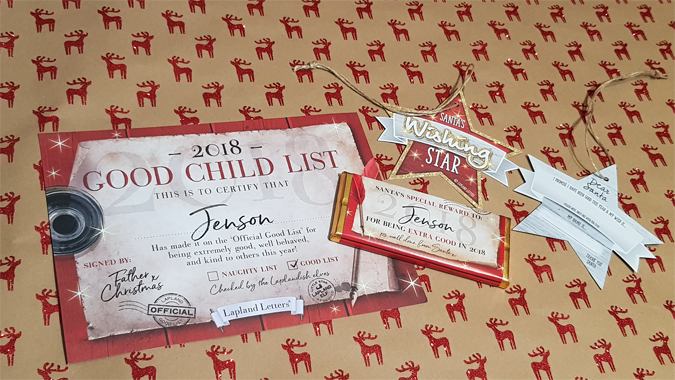 The letter comes with a ‘good child’ certificate, wishing stars, a personalised chocolate bar, colouring activities, a door sign, a ‘Santa stop here’ sign, a Lapland map and magical reindeer food. Jenson is already looking forward to sprinkling that outside on Christmas Eve. 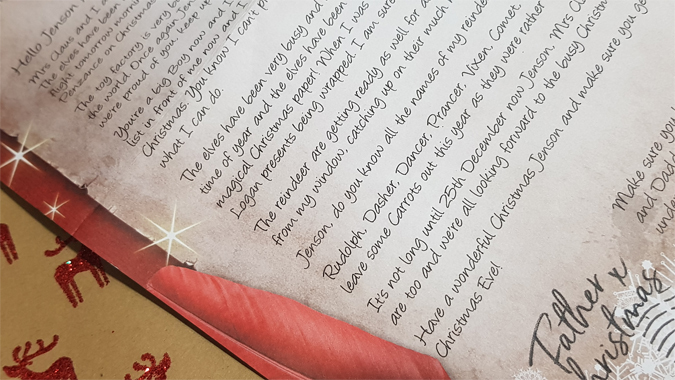 With the letter itself, there are four templates to choose from (Christmas is coming, Good Child List, The Test Flight, and Baby’s First Christmas) and there are different parts to customise. 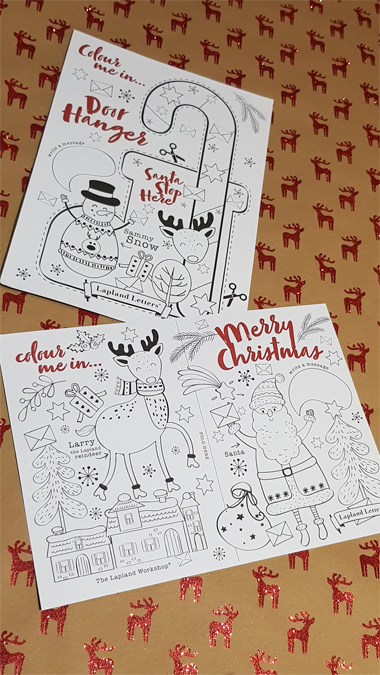 Personalised elements include the child’s name, age, town, best friend and what’s on their list, plus space for an extra message. It’s such a great idea and a lovely keepsake. My nephew is a year older than Jenson and he still remembers last Christmas, so this is where we’re really starting to make memories. Bring on the rest of the festivities! Neat. It’s nice to relive the magic of Christmas through a kids eyes. 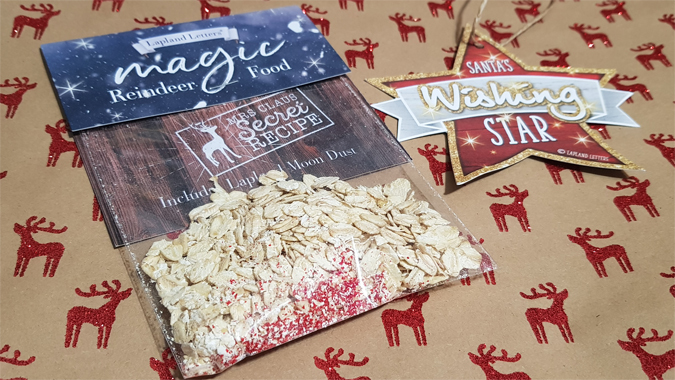 Ours are the perfect age and it really does rekindle the magic of Christmas doesn’t it?